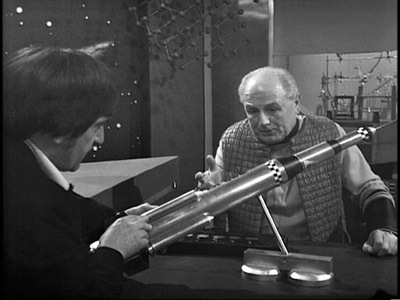 The Doctor had long shown himself to be adept at time travel, however it was not until the 1969 serial The Seeds of Death that he was seen to man a more conventional form of space transportation, a rocket. 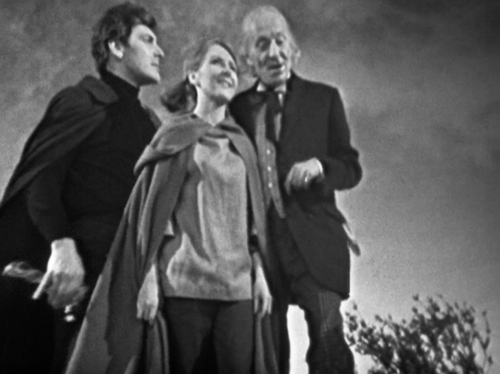 That the Doctor and his friends should find themselves on a rocket to the Moon should come as no surprise given that this serial was broadcast in early 1969 and the Apollo 11 landed the first humans on the Moon on 20 July 1969. What is more astounding is that in the world of Doctor Who rockets are perceived to be outdated and an anachronism. 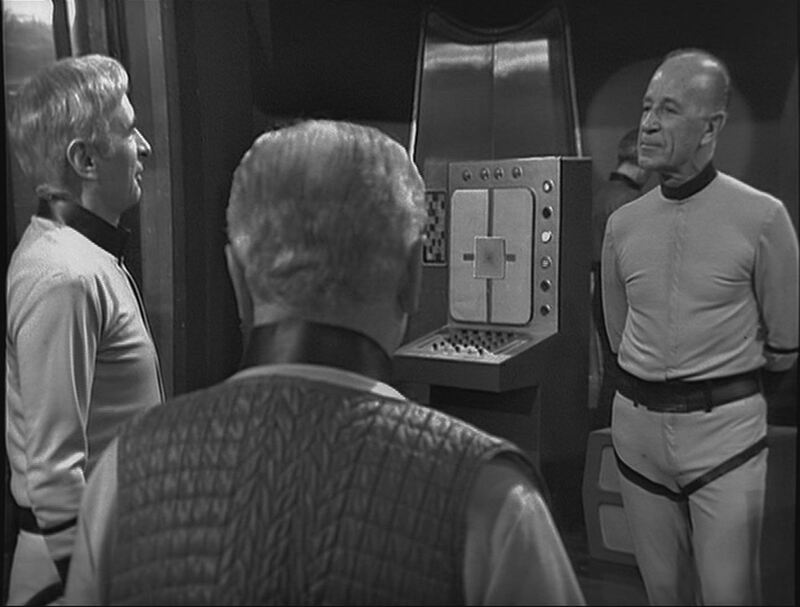 In The Seeds of Death Professor Eldred is the curator of a space museum who spends his spare time secretly working on a rocket. All transportation is now carried out by T-Mat, otherwise known as transmit, a form of instantaneous particle matter transfer. Even motor cars have become redundant and the T-Mat system is used to transport people and produce throughout the world. There is a T-Mat relay on the Moon and it is from there that the Ice Warriors intend to commence their conquest of the Earth. That there is no alternative transport to T-Mat is extraordinary, particularly as the sustenance of the whole world is dependent upon its operation. This extreme example of “putting all your eggs in one basket” was what led the Doctor and his companions to risk their lives in an untested experimental rocket. It appears that together with world famine, local stock-piling of goods has long since ended. Although the details provided in The Seeds of Death are sketchy, it appears that the T-Mat system is operated, if not wholly owned, by a corporation named Travel-Mat. What Travel-Mat’s relationship is to the governments of the world is not specified. Perhaps Travel-Mat is the world government? Travel-Mat certainly has some relationship with the United Nations as Professor Eldred describes Sir James Gregson as the United Nations Plenipotentiary. Radnor clarifies this by saying that Gregson is the Minister with special responsibility for T-Mat. I suspect that the climate change sceptics with whom I frequently debate would revel in declaring The Seeds of Death to be an accurate prediction of their New World Order conspiracies. Come to think of it, most climate change deniers know so little about science that they’d probably think the mistaken “science” of The Ice Warriors is correct. Distinguishing fact from fiction can at times be difficult for some, hence the premise behind The Mind Robber! Arguably the most powerful person employed by Travel-Mat is Miss Gia Kelly, the Assistant Controller, who inexplicably is the only person who completely understands T-Mat. Again the question arises as to what would happen to this world-wide transport system, on which the distribution of all Earth’s food is dependent, if Miss Kelly suddenly became indisposed. 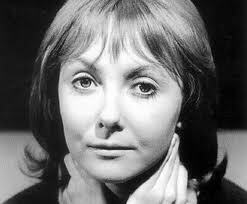 It’s a pleasant development in Doctor Who to have a women in such a powerful role and not be denigrated for her gender by fellow on-screen workers. 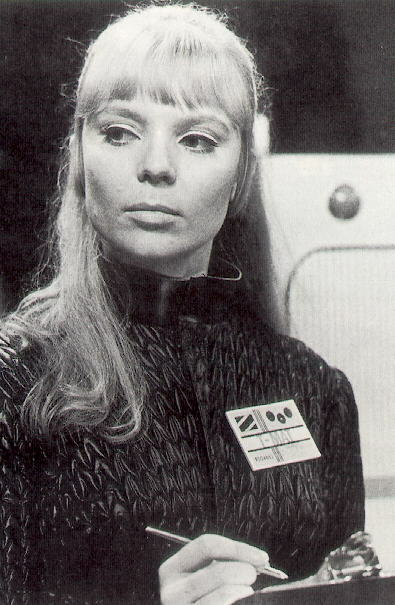 Kelly even managed to escape the sexism inherent in the UNIT soldiers’ praise for Zoe in The Invasion, when they said that she was “prettier than a computer”. That being said, I’m at a loss to understand why Kelly was portrayed as so officious and unable to smile. What does this say about our perceptions of powerful women? 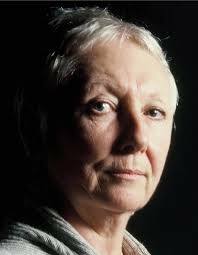 Do women that attain the giddy heights of success necessarily relinquish all vestiges of humanity in the minds of others? Even a casual observer to Australian politics in recent years would be cognisant of sexist vitriol thrown at our former Prime Minister, Julia Gillard. Being “deliberately barren” was perhaps the most offensive of them all. I would posit that the writer Brian Hayles’ portrayal of Kelly is an example of this offensive stereotyping of successful women. 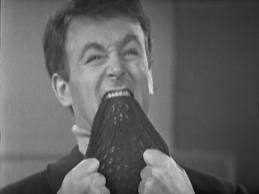 Unfortunately I have a concern with the Doctor’s ethics in The Seeds of Death. 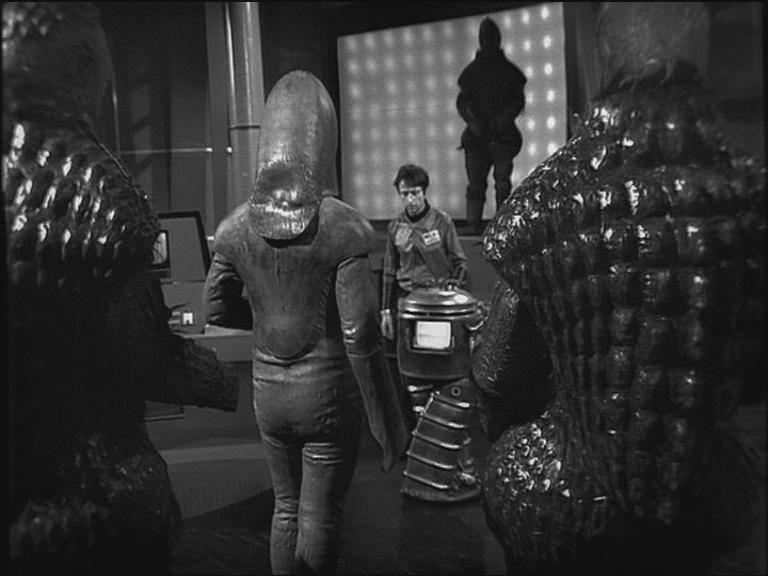 At the serial’s end the Doctor sent the Ice Warriors’ rockets onto an orbit close to the Sun by transmitting a fake homing signal. 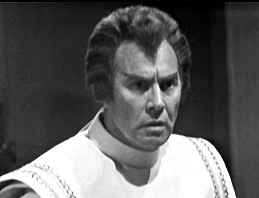 When the Warrior Slaar told the Doctor that he has destroyed their whole fleet, the Doctor’s response was that “you tried to destroy an entire world”. Given that the Doctor believed these Warriors to be the only survivors of their species, he was effectively committing genocide. Whilst we all now know that the fleet didn’t comprise the last of the Ice Warriors, that’s not the point. The Doctor acted in a similar manner to the Daleks in The Evil of the Daleks and to the Drahvins in Galaxy 4. In my review of Galaxy 4 I discussed in some detail how the Doctor’s apparent genocide of a race was at odds with his classic moral deliberations in The Genesis of the Daleks. 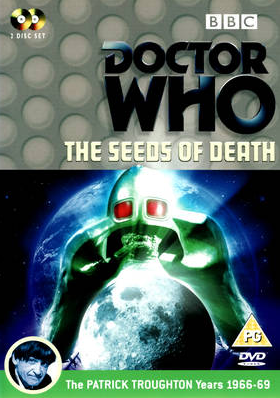 Akin to Brian Hayles’ problems with science in The Ice Warriors, The Seeds of Death is similarly tainted. Remarkably, whilst the Ice Warriors collapsed when the temperate reached 60 degrees Celsius, the humans exhibited no ill effects at all. Not a bead of sweat was seen to develop on a single brow. This story did, however, again exhibit Hayles’ apparent concern for things environmental. The plant consuming foam which emerged from the Ice Warrior’s seeds would eventually result in the removal of all oxygen and the death of humans as the atmosphere became more akin to that of Mars. Technology had also caught up with Doctor Who by the Ice Warrior’s second appearance. Filmed inserts for episodes were by then being produced during the recording of the previous stories. 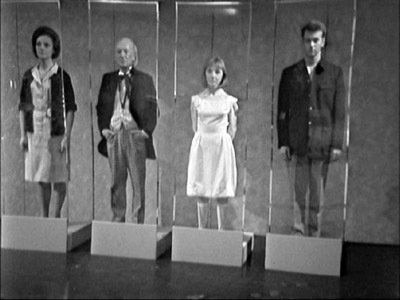 Because of the 1968/1969 Christmas/New Year break, some inserts were filmed up to six weeks prior to the recording of the episodes. It’s for that reason that careful observation will show that within the same episode the Doctor can at one point have particularly bushy side-burns, and the next moment has none. 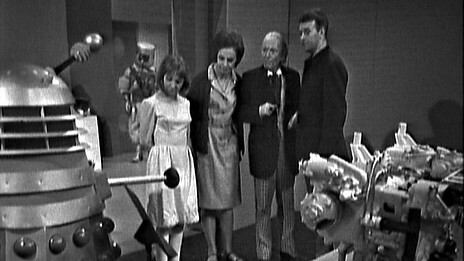 When Jamie suggested that the Doctor should use the TARDIS to travel back to the Moon the Doctor was quick to advise that “the TARDIS is not suited to short range travel”. It’s a shame that the Eleventh Doctor didn’t remember that when he decided to take the TARDIS for a quick hop to the Moon to run her in during The Eleventh Hour (2010). He didn’t come back to Amy until two years later! The Doctor also seemed to have forgotten exactly how much of an unpleasant time he’d had when last he visited a space museum (The Space Museum). Quite naturally Zoe knows how to pilot a rocket so she necessarily went up in my esteem, yet again. She also has a photographic memory. 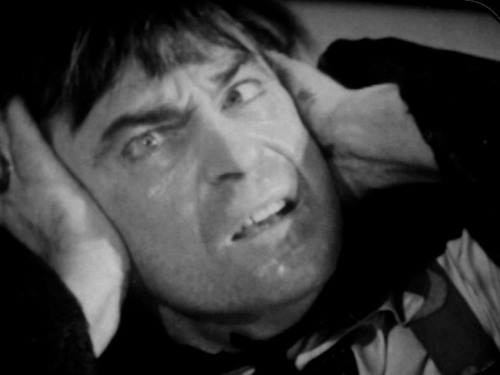 With the conclusion of The Seeds of Death we say goodbye to the last monster story of Patrick Troughton’s tenure. 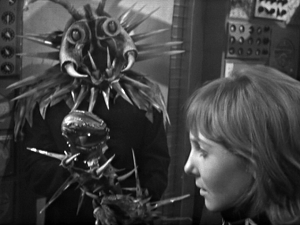 Not only is it the final monster serial of the 1960s but also of Doctor Who’s monochrome era. 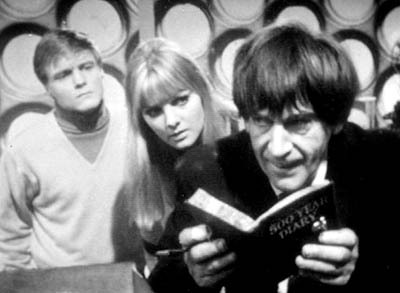 Troughton’s penultimate adventure, The Space Pirates, has no aliens although it does have a space cowboy who is almost as bad, in a frightening sort of way! “The Doctor was a great collector, wasn’t he”, the strange little man with the ill-fitting, improvised clothes said as he rummaged through the large chest. 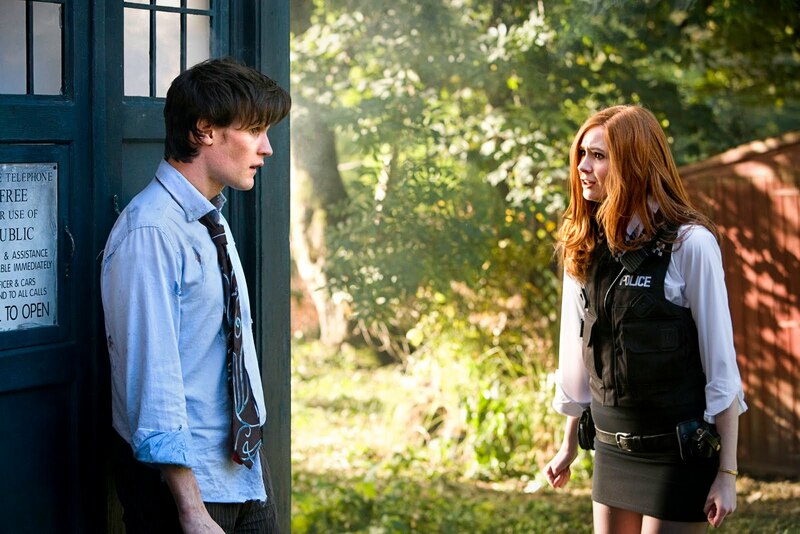 “But you’re the Doctor” exclaimed a confused Polly. “Oh, I don’t look like him” quipped the man. 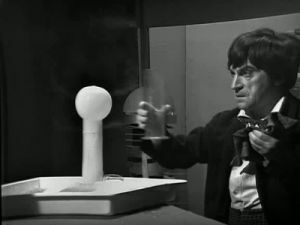 So began the journey of the Second Doctor, Patrick Troughton, as he recovered from his “renewal” as though he’d been on an LSD trip. In fact, the reference to LSD comes directly from the production notes. This was 1966, of course. 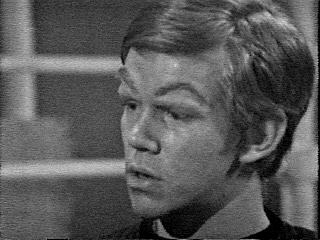 When Ben had told the “old Doctor” that the ordeal in the Cyberman ship was “all over” (The Tenth Planet) the Doctor had replied by saying “What did you say, my boy? It’s all over. It’s all over. That’s what you said. No, but it isn’t all over. It’s far from being all over”. The “new” Doctor had strangely chuckled “It’s over. It’s over” as he scrambled to his feet upon regenerating. Whilst the Doctor’s “renewal” may have been over, his journey to be understood by his companions was only beginning. Quietly hostile and prone to referring to himself in the third person, the Doctor evaded answering uncomfortable questions by playing a recorder retrieved from the chest. The sceptic Ben was infuriated by the Doctor’s behaviour and didn’t believe the man before him to be the same person as the “old Doctor”. Polly, however, was more willing to believe and recalled the old Doctor’s comment to the effect that perhaps his old body was wearing a bit thin. No one had exited or entered the Tardis so surely this stranger must be the Doctor. It would take a Dalek to recognize the Doctor by sight, towards the end of episode two, for Ben to finally believe that the “new” Doctor was one of the same as the “old Doctor”. The Dalek’s recognition of the Doctor, and the Doctor’s visible fear of his oldest foe, was a superbly climatic scene which undoubtedly influenced Rob Shearman as he wrote Dalek, the pepper pots’ debut in Season 1 of the 2005 series. Watch the short clip from Dalek below and marvel at the Ninth Doctor’s fear when he hears the monotone voice of the Dalek say “Dock Toorrr”. The Doctor’s fear as he runs to the door is just palpable. 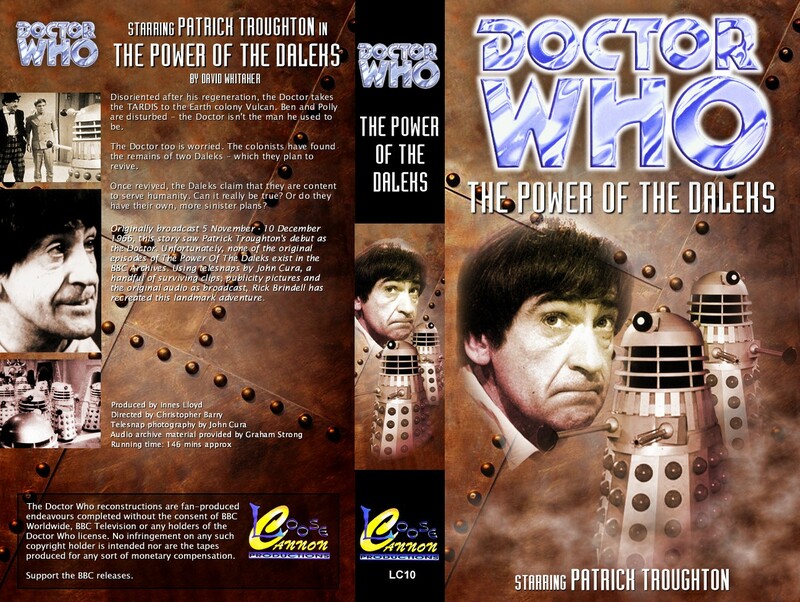 Were The Power of the Daleks not lost and we could watch the serial in its full glory, then I suspect that the Second Doctor’s fear, as he backs into a chair as the Dalek focuses his eye stalk onto him, would be just as unmistakeable. 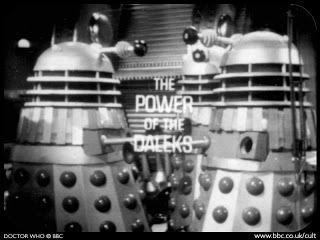 That The Power of the Daleks should be an influence on the writers of new series Who should come as no surprise. 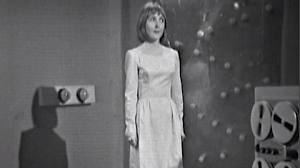 The serial is critically lauded as perhaps the best Dalek story ever and is undoubtedly held in higher regard as a consequence of its missing status. The soundtrack is smashing and the few fragment clips of the Daleks absolutely superb. 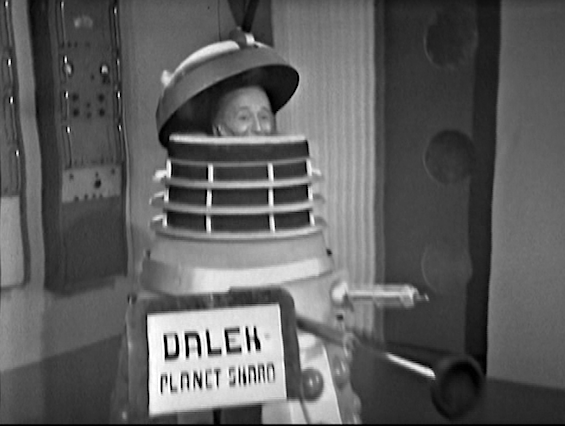 You can even excuse the production team for the reasonably obvious cardboard cut-out Daleks used to swell the numbers in crowd scenes. We hear much chanting of “exterminate, annihilate, destroy” and “Daleks conquer and destroy”, whilst also seeing the construction of Daleks for the first time. Whilst proceeding down the conveyer belt their mutant insides are plonked inside and seen by viewers for the first time in their live state. 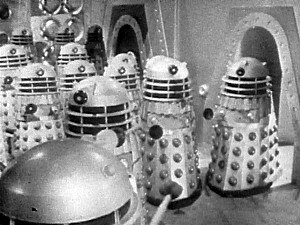 The Dalek mutants seen in episode of 12 of the Daleks’ Master Plan were in a regressed form. What makes the Daleks all the more frightening is that they are initially so compliant and obliging. The similarity between the Series 5 episode Victory of the Daleks and The Power of the Daleks is remarkable. 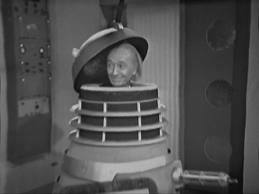 In both stories the Daleks originally portray themselves as servants of humans. 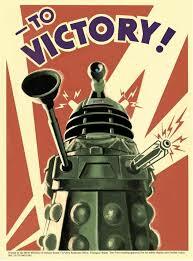 In Power the Dalek chants “I am your servant”, whilst in Victory their incantation is “I am your soldier”. In both stories the Doctor is increasingly frustrated at everyone’s refusal to take his concerns about the Daleks seriously. 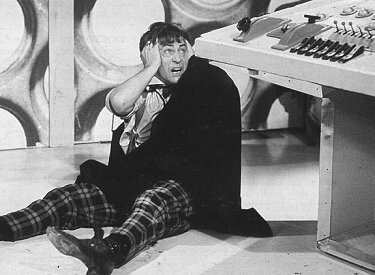 Wildly cognisant of the Dalek’s evil reputation, similar fear and frustration would be instilled into the viewers as well. As Toby Hadoke stated in Running Through Corridors, “… with us, the audience, more aware than most of the characters involved in this adventure just how deadly these creatures are. It’s like watching kids playing with a hand grenade, but being stuck behind soundproofed glass and unable to issue a warning”. It’s invariably the ignorance of humans, and the Rebels’ preparedness to co-opt the Daleks to their cause, which is the reason for their downfall. After using the humans to acquire the materials necessary to construct new Daleks, they have no further need for humans and destroy them. The Daleks are at their evil best and it’s a great shame that the visuals have been lost because the telesnaps make the massacre at the end look magnificent. 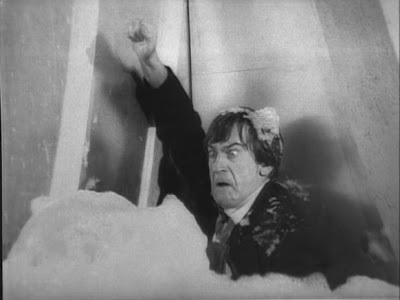 Ultimately, however, the Doctor saves the day by destroying the Daleks. Or does he? What puzzled me was why the Daleks needed to be charged in Power of the Daleks whenever they were not on metal, yet the Daleks seen in The Chase and The Daleks’ Master Plan didn’t. Wood and Miles in About Time 2 posit cheekily that these Daleks must have been exhausted from their 200 years spent at the bottom of the mercury swamp or not fully-charged as they were fresh models straight off the production-line. One wonders how viewers can pick up these continuity discrepancies in the early years of Doctor Who, and yet the writers could not. Perhaps it was because the serial was written by David Whitaker and was the first Dalek serial in which Terry Nation had no input. Tat Wood & Lawrence Miles, About Time. The Unauthorized Guide to Doctor Who. 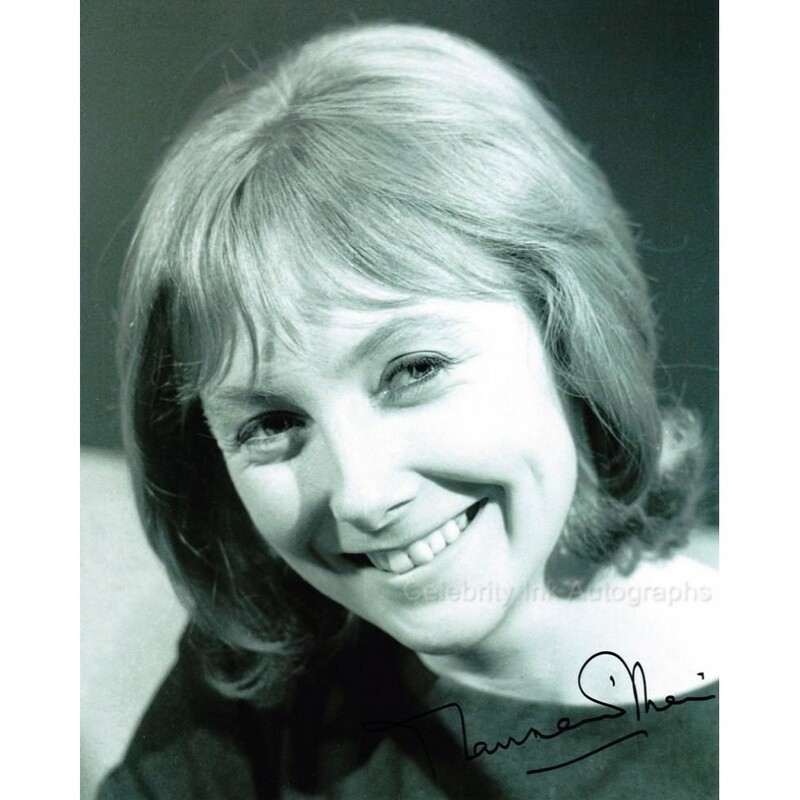 1966-1969 Seasons 4 to 6. Mad Norweigan Press, Illinois, 2010. This absence of character evolution says much about the 1960’s perception of women, particularly young ones. In the 1960s the median age of first marriage for women was around 20 years of age. Career opportunities were limited and pay was not equal. Although unable to locate figures for the United Kingdom, Australia as a Commonwealth country would have been reasonably similar. Until 1966 the Australian Public Service required single women to resign from their positions on the eve of their marriage. Equal pay was not granted until 1972. Is it any surprise, therefore, that women were portrayed as either children or mothers? With women having perhaps only five years between leaving school and marriage, this period between childhood and motherhood was marginalized and frequently forgotten. David J Howe, Stephen James Walker & Mark Stammers, The Handbook. The Unofficial and Unauthorised Guide to the Production of Doctor Who. Telos Publishing Ltd, Surrey, 2005. Tat Wood & Lawrence Miles, About Time 1. The Unauthorized Guide to Doctor Who. 1963-1966 Seasons 1 to 3. Mad Norweigan Press, Illinois, 2009. 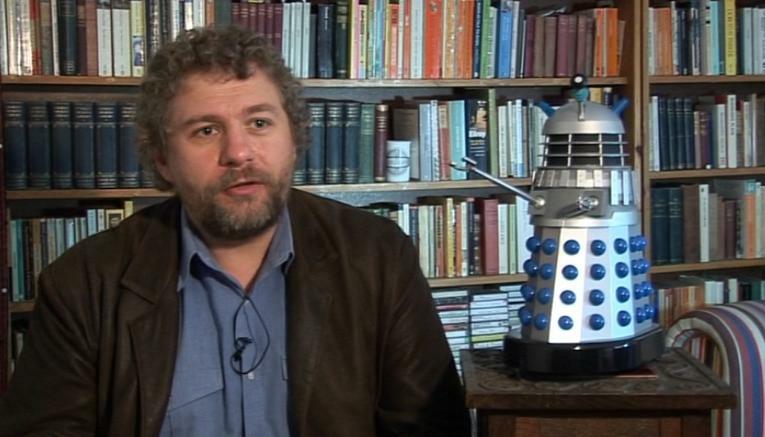 You can always be assured that Rob Shearman will give a hearty defence of any long derided Doctor Who serial. Writer of the Series One episode, Dalek, and several Big Finish audio productions, Shearman joined with Toby Hadoke, of Moths Ate My Doctor Who Scarf fame, to author Running Through Corridors: Rob and Toby’s Marathon Watch of Doctor Who. 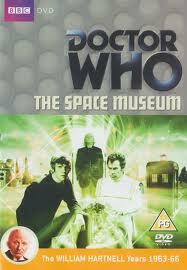 Shearman’s affection for The Space Museum is laid bare in the DVD special feature, Defending the Museum. His devotion rests on the assumption that The Space Museum is a parody of William Hartnell era Doctor Who episodes. The aggressors, the Moroks, are little more than morons who invade a planet only to turn it into a museum for their past achievements. The rebels are excruciatingly bad. Dressed in black polo neck jumpers, they look like students in a coffee bar. Vicki starts a revolution only because she’s bored and the native Xerons don’t need a great revolutionary, just a locksmith! Shearman is quick to praise episode one of The Space Museum, which he considers quite extraordinary. The story, he argues, is about inaction and how an event can be prevented once you know it’s going to happen. If this was in a theological context the argument would be about predestination and Calvinist theories of same. In the world of Doctor Who, however, does doing something really matter? In The Space Museum’s case it certainly does. 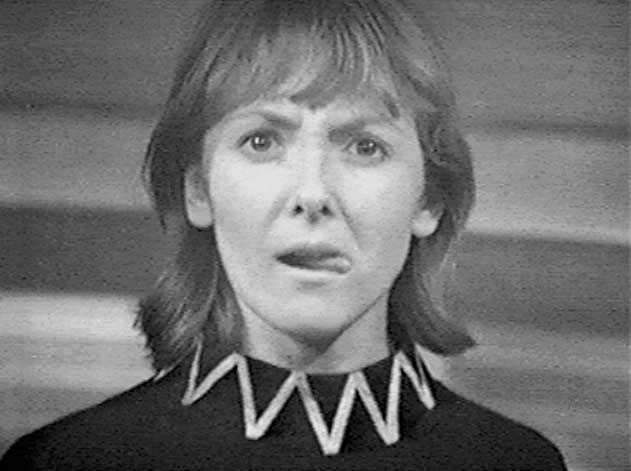 Although all the motions of the Tardis Crew lead them into the very same situation, their actions have a positive effect on third parties. It is precisely because of other people’s deeds that history, for want of a better word, is changed and the Doctor and his companions are saved. Although Shearman’s analysis is a worthy summation of the serial’s message, The Space Museum suffers from internal contradictions which counter this. 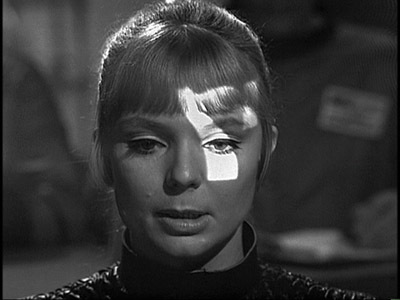 In episode four Barbara laments that the crew have been on four separate journeys involving four discrete courses, yet they all lead to this one point. The Doctor explains that their actions may have influenced others, to which Ian responds by concluding that it can be others that change the future for them. Vicki quips in with the example of a revolution. 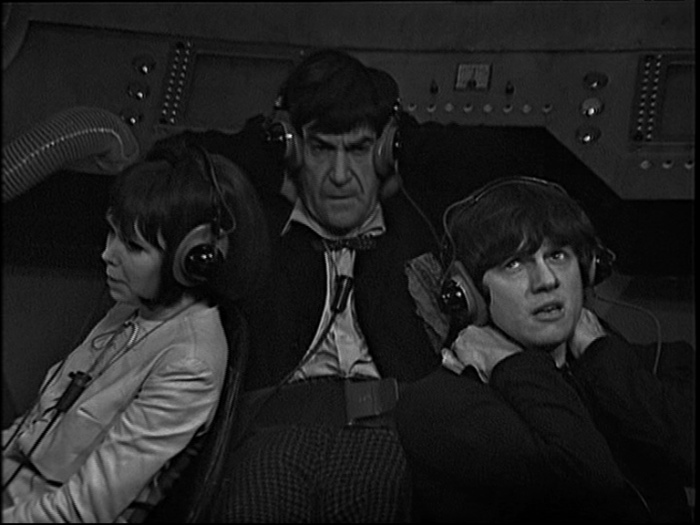 What none of the Tardis Crew seem to realize, however, is that they’ve actually changed history themselves. The Doctor made much of the loss of one of Ian’s buttons earlier in the serial and chided him for not having noticed whether the frozen Ian in the display cabinet had a lost button or not. The Doctor and his companions, after all, were all wearing the same clothes. What no one twigged to, regrettably, was that once Barbara’s cardigan had been unravelled then she was no longer identical to the cardiganed Barbara in the display case. A bite of Barbara’s cardigan by a clueless Ian, and Barbara’s homely skills in teaching Ian how to retrieve wool from a knitted garment, was all that was required to save them. Heck, who needs a revolution with an arsenal of firearms when a knitted one will do! The Space Museum is resplendent with comic interludes, the Doctor being given the majority of them. Eccentric as always, the Doctor frequently giggles at the cleverness of his own actions. After tying up a young Xeron rebel without the victim even seeing him, the Doctor hides in the casing of a Dalek exhibit. 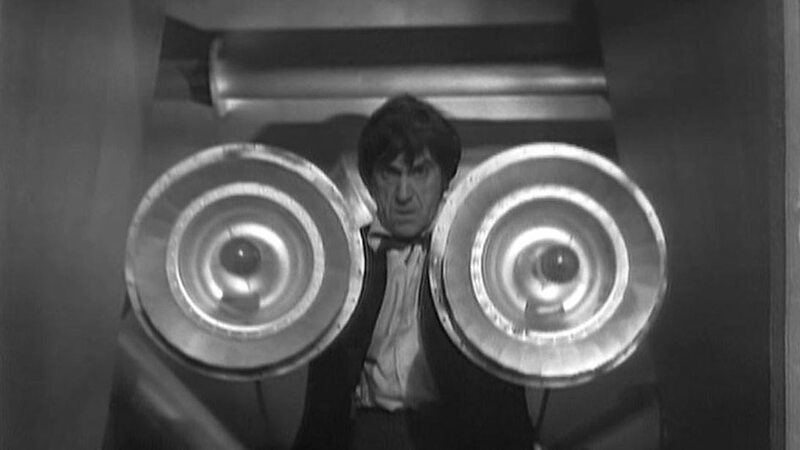 Popping his head out of the top of the Dalek is a classic moment. When hooked to the Moroks’ thought machine he is able to outwit the truth analyser which reflects thoughts onto a television screen. When asked how he arrived on Xeron, a picture of a penny farthing is flashed onto the screen. A pod of seals is seen when the Doctor is asked where he comes from. The Doctor naturally cackles with glee. Ian is portrayed in a menacing and quite violent light in this serial. Although cheerfully playing a game of “Cowboys and Indians” after removing a ray gun from its exhibition case, Ian is soon brandishing the weapon like a true warrior. Threatening the aggressors with a gun comes easily to Ian, who astounds the viewers with his matter of fact acceptance of violence near the close of the third episode. Pointing the ray gun at the Morok leader, Ian is told by the threatened Lobos that he’d be a fool to kill him. “You will achieve nothing”, says Lobos. Ian’s reply is chilling – “Possibly, but it might be enjoyable”. Ian’s colleagues at Coal Hill School would scarcely recognize him. 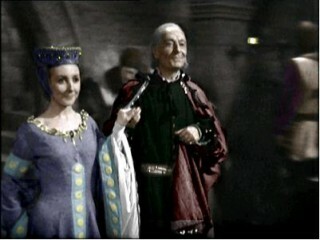 Vicki is able to distance herself from the Doctor in this serial and spends much of the time in the presence of the young rebel Xerons. She has a rudimentary knowledge of the Daleks from 25th Century history books although she is surprised at how unintimidating they appear. Vicki has a sound understanding of time dimension theory and is able to re-programme a less than intelligent computer to accept truthful, but otherwise incorrect, answers. As previously mentioned, her crowning glory in the serial is convincing the laid back rebels that revolution is not only a good, but also an achievable, objective. 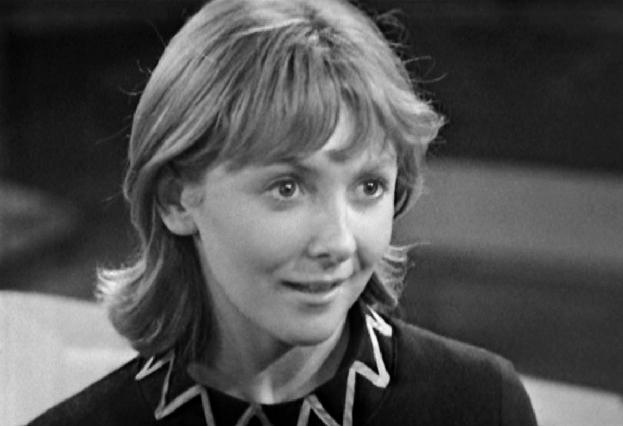 Unfortunately everything concerning the revolution is too easy and entirely implausible, with young Vicki making it appear like a fun afternoon distraction. Romance appears imminent at the story’s end as Vicki bids a fond farewell to the rebel, Tor. 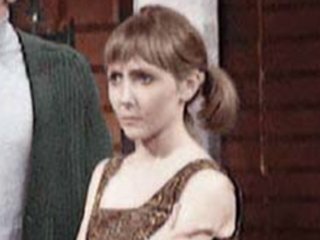 Holding both of his hands on their goodbyes, it appears for a moment that Vicki may have to choose between love and the Doctor. Alas, another quick marriage proposal is not made and Vicki remains with the Tardis Crew – at least for the moment. Those bizarre Xeron extra eyebrows. Is it little wonder that Vicki didn’t stay? Barbara’s role in The Space Museum is somewhat less forthright than usual, although she does display her characteristic homely skills in clothing (de)construction. The costume department failed her miserably and she is dressed in the most matronly garb yet seen. That the show was filmed almost live is evident from Barbara’s half slip being in view for the best part of an episode. 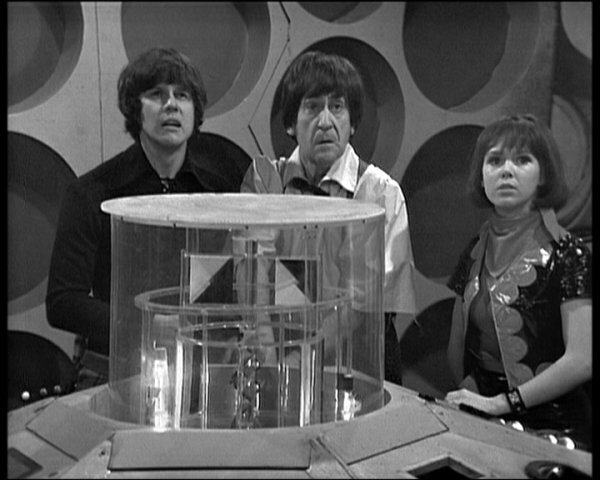 The serial ends with the revelation that the whole “time dimension” problem was caused by a stuck component in the Tardis. If this sounds familiar, well it is. The bizarre events of The Edge of Destruction were prompted by the same type of technical malfunction. As Tat Wood and Lawrence Miles state in About Time 1, the Doctor has clearly yet to discover WD40! The special features on The Space Museum DVD are well worth viewing. Together with Rob Shearman’s defence, there’s also a delightful short piece, My Grandfather, the Doctor, in which Jessica Carney speaks about the career of her grandfather, William Hartnell. Comedian Christopher Green’s spoof, A Holiday for the Doctor, in which he stars as actress Ida Barr, is not to be missed. 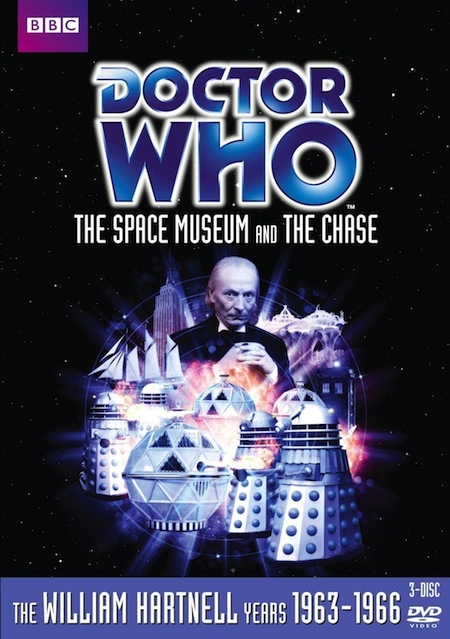 The Space Museum was released in a Box Set with The Chase entitled (you guessed it!) “The Space Museum The Chase”. Tat Wood & Lawrence Miles, “About Time. The Unauthorized Guide to Doctor Who. 1963-1966 Seasons 1 to 3″. Mad Norweigan Press, Illinois, 2009.